Rött och brunt ris har i stort sett liknande funktioner och är en bra källa för vitamin B1, vitamin B2, fibrer, järn, kalcium m.fl. ”Red Rice: This rice has an antioxidant pigment called anthocyanins. This antioxidant is beneficial to reduce symptoms of inflammation, allergy relief, cancer prevention and weight loss management. Aside from that, red rice is packed with nutrients such as B-vitamins, iron, calcium and zinc. The B-vitamins are known to be essential to the body as it is present in all organ function and energy production. Calcium is needed for bone health, Iron for blood supply and Zinc for brain function. Brown Rice: Brown rice is said to be rich in vitamins and minerals including B-vitamins and magnesium, manganese and selenium. The B-vitamins that is contained in brown rice have similar benefits to red rice. Manganese is good to promote regular metabolism while magnesium contribute to healthy bones and teeth. Selenium is a mineral that works like antioxidant, protecting the body from infections. 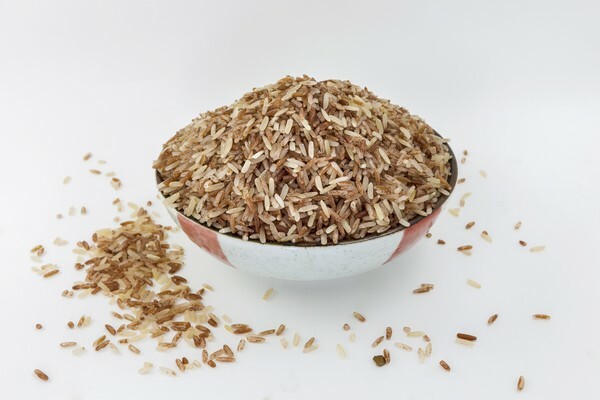 Red rice is rich in antioxidant, good for people who want to prioritize weight management and immune system enhancement. For more prevention and over-all wellness, it is good to consider brown rice as it has more nutrients to maintain a healthy weight and good nutrient profile. I think it is fantastic that more people are becoming aware of implications of premature cord clamping as I had in my own experience, my baby was born and didn’t initiate breathing, folllowed by the midwife rushing my husband to cut the cord and wisk the baby away, all before I had seen him. The ultimate result was that I spent the first few weeks with my new baby feeling like I was minding him till his real mum came. I am now studying nursing with the intention of becomig a midwife and hope that this practice will have changed by then.